No A-Z posts on a Sunday. 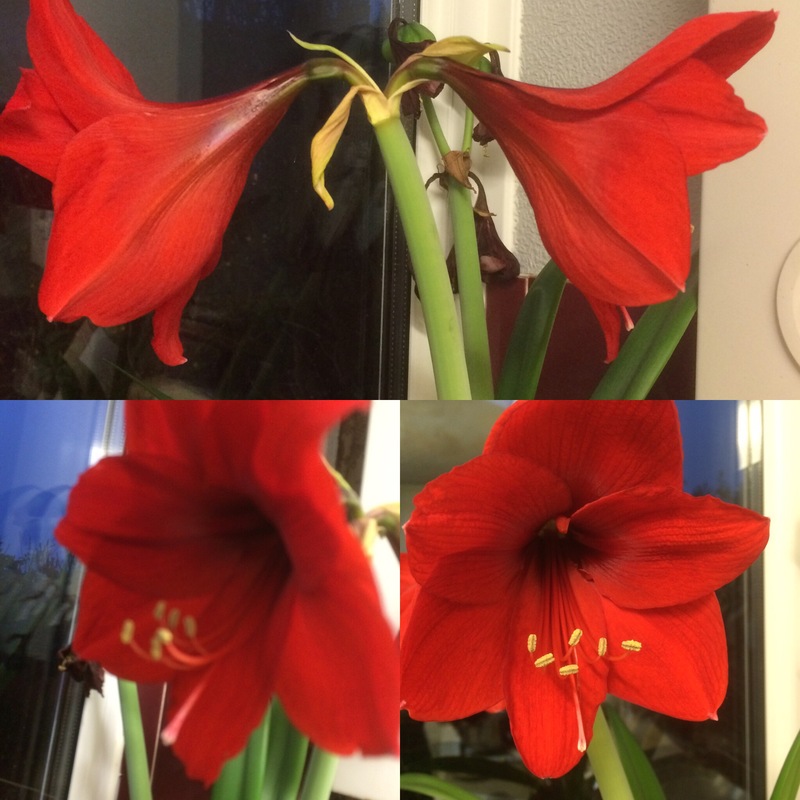 The Amaryllis stands on a windowsill. It’s very difficult to photograph in the daytime so these pics are hot off the press now that evening has come. (It’s also difficult to reach).